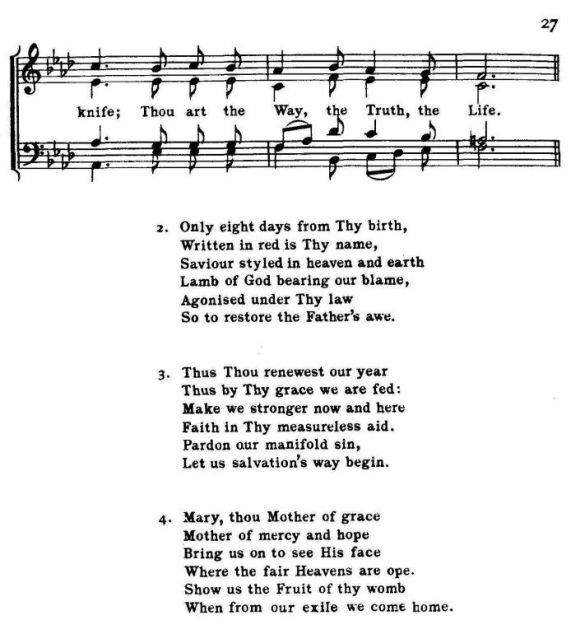 Source: Richard Runciman Terry, Two Hundred Folk Carols (London: Burns Oates & Washbourne Limited, 1933), Carol #104, pp. 26-27. And truth buds out on earth. 1. Jesus, and is Thine hour come? So to restore the Father's awe. Faith in Thy measureless aid. Let us salvation's way begin. Where the fair Heavens are ope. When from our exile we come home. 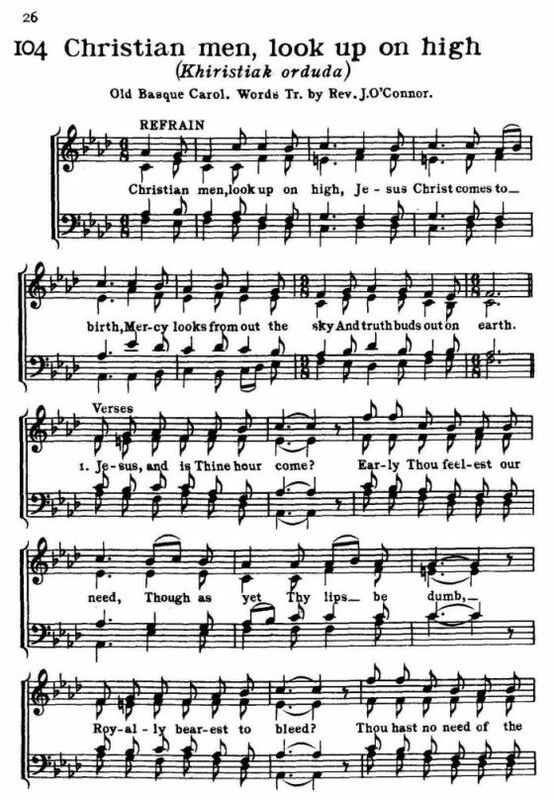 Sheet Music from Richard Runciman Terry, Two Hundred Folk Carols (London: Burns Oates & Washbourne Limited, 1933), Carol #104, pp. 26-27.